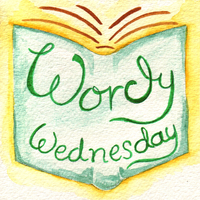 This week's Wordy Wednesday takes us across the pond to meet Missy Sheldrake,an author and artist from Virginia, USA. She released her first novel, Call of Kythshire, in March of 2015. When she isn’t writing about them, she’s probably drawing fantasy scenes from her books or sculpting fairy art dolls. She is a formally trained painter and illustrator, and enjoys storytelling through a variety of media. So we delve into a world of sprites and magic, but still tea and biscuits or course because, well, we are talking to an author! And so let's begin. Missy, Why did you start writing? I love to read, and I was always looking for novels with fairies in them. The only ones I could find were either very old fairy tales that tended to be mostly about fairies helping people or tricking people, or modern fairy stories that had strange concepts about fairies that didn’t really fit my own vision for them. I found two different books that boasted fairies on the cover, but then when I read them, the fairies were just quick glimpses and the story was really about the human characters. I wanted to write a book where the plot revolved completely around the fairies so I could showcase how magical and diverse the concept of these creatures can be. You can do a whole lot with fairies if you have an open mind, and they can affect your human characters in very exciting ways if you allow them to. After a stint of reading some modern dystopian YA fiction, I realized that there was nothing really keeping me from telling the stories I wanted to tell, and writing the stories I was so eagerly searching to read. A quiet house, a cup of coffee or chai tea, and some good music. My recent books were inspired by Sia, Black Keys, Rubblebucket, and All Time Low. I try to write every day. My son and I are both early risers, so my routine is to get up and brew a coffee or espresso and sit right down at my desk to get out the ideas that I had when I woke up. For him it’s homework time, so I can usually get 1000 or so words written during that time. Then I take a walk after I send him off to school, and that gets my creativity going for the second round of writing before lunch. If I’m having a block, I’ll go to my studio and work on a doll or an illustration for the book, and that usually helps get me through. I just finished Outage by my friend Ellisa Barr, and I’m currently reading her second book, Voyage. Both are really interesting YA reads exploring scenarios in the aftermath of electromagnetic pulse attacks which destroy the countries power grid and send the US back to the dark ages. I don’t read much while I’m writing. I like to keep my ideas fresh and not risk others’ ideas leaking into my work. Have you had a good or bad 2015? Oh, 2016! How I’m looking forward to this year! I am about halfway through writing book three of the Keepers of the Wellsprings series. In this book, I’ve introduced a third point of view character, but she only pops in every eighth chapter or so. She’s a very interesting character: A scrappy street-rat type, who is eventually caught in a Sorcerer’s spell and becomes his thrall. I’m really enjoying getting to know her. I’m hoping to release book three before the summer. The series was meant to be a trilogy when I started it, but there is so much more story to tell that I’m almost certain I’ll be releasing a fourth before 2017. If you could have any job in the world except being an author, what would you choose and why?I would be a Disney Animator. Though I enjoy writing, I love storytelling via art so much more. My books are filled with colorful illustrations of the scenes I write about, and if you look at them you’ll see that I try hard to emulate the Disney style. I have always loved Disney, and I often wish that I had pursued the path of animator way back in the days when I was choosing my life’s path. If you could genetically cross and animal with a fruit or vegetable what would you choose and why? I'm currently thinking of a lettuce butterfly, with iridescent leafy wings that would brighten up a salad..though it would be sad to eat them. I am so heartbroken over Alan Rickman…it would have to be Professor Snape in between the last two Harry Potter books. I’d give him a good cheering up and a hug. I think at that point in time he’d really need a good friend’s shoulder. Azaeli has trained from a young age in order to follow in her parents' footsteps and become a Knight of His Majesty's Elite. When she finally becomes a Squire, her name is mysteriously left off of the list for the King's Quest. Her parents set off without her, but the simple quest goes awry leaving tragedy in its wake. With the help of her lifelong friend, Rian, a Mage apprentice, Azaeli must unravel a sinister plot that threatens both the existence of Kythshire and the peace that her people have celebrated for generations. Azaeli Hammerfel has been named a knight, and is thrilled to be on her first true quest alongside her parents' guild. Their journey to see Prince Eron and his expecting wife safely to Lake Kordelya is shrouded with a sense of impending doom that tests the strength of His Majesty's Elite and the love that Azi and Rian, the Mage, share. When Kythshire's fairies find themselves a target of the same threat, an unlikely champion presents himself. Tib Nullen has had a hard life. He's just twelve years old, but as a field slave in the Sorcerer-run country of Sunteri, he has seen more toil, loss, and cruelty than anyone should be made to endure. When tragedy strikes his family, Tib finds himself flung into a plot much bigger than he. In his struggle to make sense of his thoughts, which he fears are not fully his own, he learns he has a greater purpose: to help restore the Wellspring of Sunteri. Thank you Missy, for sharing your magical writing and your magical cookie recipe! And if you've enjoyed this post please visit and like my facebook page, where you can add comments about the blog or just have a chat. Or follow my ramblings on twitter.